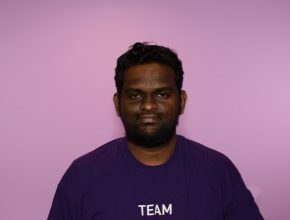 Yasantha joined Loughborough University London from Sri Lanka, and is currently studying a master’s with the Institute for Digital Technologies. We asked Yasantha to tell us ten things that every student should know before starting a postgraduate programme at Loughborough University London. Keep reading to find out his thoughts. The range of careers and employability opportunities that run in parallel to your academic studies is just outstanding. 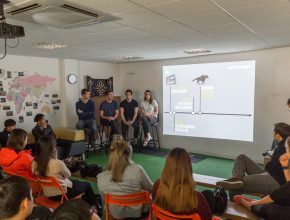 The workshops, events and activities work together to make sure you have an opportunity to develop a full range of soft skills, including public speaking, team work and presentation skills. Most importantly, Career Consultancy services provides support with CVs, job applications, cover letters and more. They also offer the opportunity to take part in a mock interview. This is extremely beneficial because they provide personalised and detailed feedback, so that you can truly excel in real interviews with real companies in the future. Loughborough University London is located on Queens Elizabeth Olympic Park, and often receives exclusive invitations and offers for events and attractions throughout the year. As well as being a lively setting for festivals, performances and events, the Park offers the perfect location for the world’s #1 university for sport to be based – there’s Olympic class sports facilities wherever you turn, and many of these offer discounts for students. Currently there is an event called #ActiveAugust that is taking place at the Park until the end of August with a wide variety of free sports and activities that anyone can get involved in! Not only this, it is a beautiful setting to have a campus based. 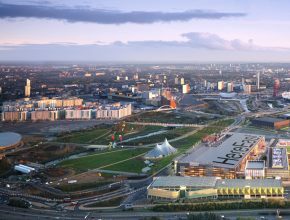 HereEast is a fast-growing enterprise and innovation hub for a broad range of industries including digital technologies, finance, media and the creative sector. Being located inside Here East gives you the opportunity to network with a range of professionals and businesses. All you need to do is attend some of the public events and workshops which take place on site every week, and you’ll meet some of the most interesting people you could ever imagine! Stratford (where Loughborough University London is located) is very well connected to other locations in London via the underground, bus, DLR and rail networks. 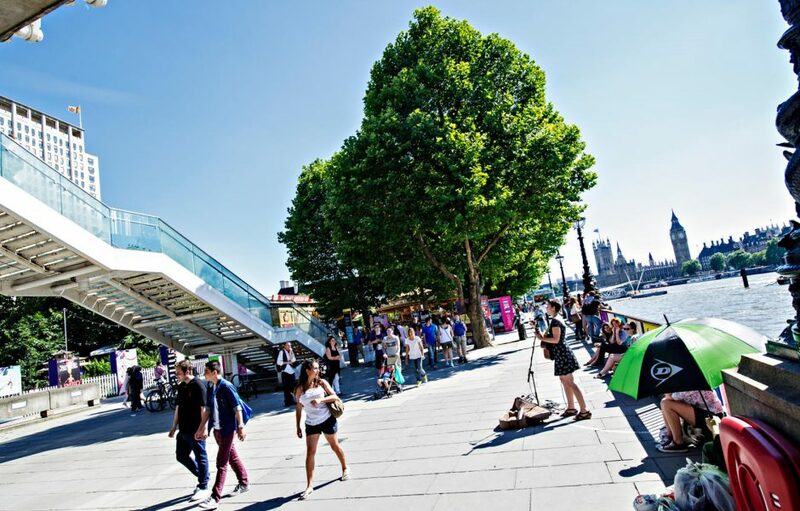 Many tube lines run through Stratford, so you can travel across London and visit Canary Wharf, Camden, London Bridge, Shoreditch, China Town, Notting Hill and many more places with ease. Loughborough University London offers excellent support for students with inspiring business ideas with a number of enterprise opportunities. There is guidance on sharing knowledge, developing required skills and organising pitching competitions for funding. The new Enterprise Space on the ground floor of the campus is an outstanding resource to sharpen students’ Enterprise, innovative and employability skills. 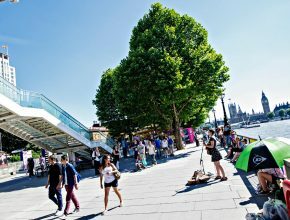 Loughborough University London is proud of its strong connections with a broad range of industries. There are so many guest lectures, events and workshops for you to meet with prospective employers and build your professional network, so make sure you take advantage of this opportunity and introduce yourself as many industry experts and guest speakers as you can. This is great way of connecting with new people on LinkedIn, as well as securing unbelievable internships, placements and work-based projects for your dissertation. Additionally, the support offered by the academics to help you secure internships and employment is incredible, so never be afraid to ask for recommendations or advice from your tutors if you need it. The academics based at Loughborough University London are working on some truly outstanding research, of which some will be of direct relevance to your studies and your future. If you share the same research interests as the academics around you, there is nothing better than hearing about their expertise, discoveries and recommendations for further reading. Some research won’t be related to your studies or interest, but is still fascinating to learn about, such as the latest advances in driverless vehicle technology, wearable technology, cyber security, Brexit diplomacy, virtual reality and much more! You can attend a research seminar to find out more, or visit the events pages on the website for one-off lectures and events. 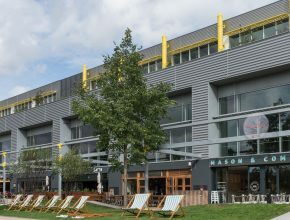 Canalside is a thriving area full of restaurants, cafes and bars, located within the heart of Stratford’s Queen Elizabeth Olympic Park and the London Campus. It is a great place to meet with friends, eat and to relax, overlooking the spectacular view of the canal. As well as this, Canalside frequently has food and drink offers! In particular, Mason and Company frequently do offers for students so keep your eyes peeled on this! Across from Westfield Stratford City is a slightly older shopping centre called Stratford Shopping Centre. In here you’ll find a Sainsbury’s and a Lidl, which are more affordable supermarkets than the convenience stores located in Westfield. There’s also an Asian supermarket (Loon Fung) and a Polish supermarket (Gaska Polski Sklep) for those looking for a taste of home! 10) Get paid to be a Student Ambassador! Loughborough University London recruits enthusiastic students with a passion for the University at the start of each academic year to be Student Ambassadors…and you get paid! What’s even better is the hours of the role are flexible, so that you can plan your work commitments around your studies. Being a Student Ambassador is such a fantastic experience because you get to work with people of all ages, nationalities and backgrounds, as well as having the opportunity to get involved with a range of events and activities! Thank you Yasantha for sharing your top 10 things you should know about before joining Loughborough University London. You can still apply for 2018 entry. Please look at our website and our how to apply page for more information. You can also continue reading more of our blogs here.